On the drive back from Cameron Falls, I stopped about 20 minutes outside of town to take a picture of the headframe of an old gold mine. A quick photo op turned into a memorable experience. As I found out later, the mine I explored is Ptarmigan Mine. It’s one of several gold mines in the area. Giant Mine, which was the site of a famous explosion in 1992 that killed nine replacement workers during a labour dispute, is just down the road. 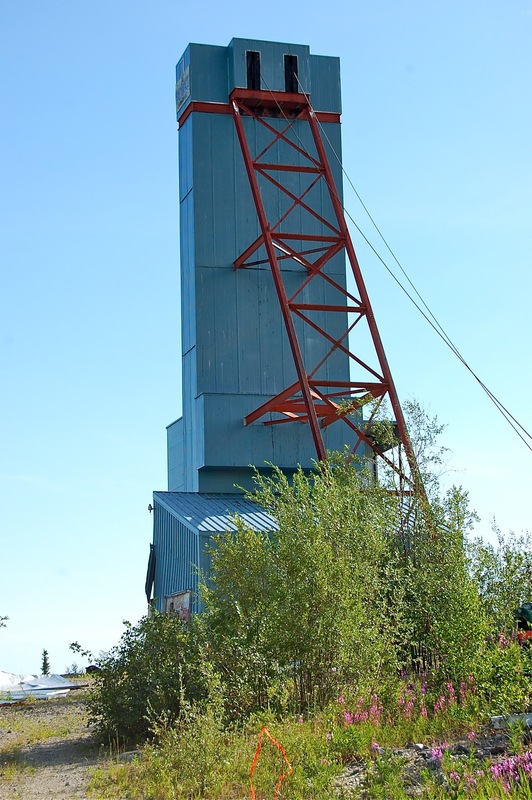 The headframe of Con Mine on the outskirts of town is the tallest structure in the Northwest Territories. Gold was first mined at Ptarmigan in the early 1940’s before stopping during World War II. It resumed again in the 1980’s and continued until 1997. 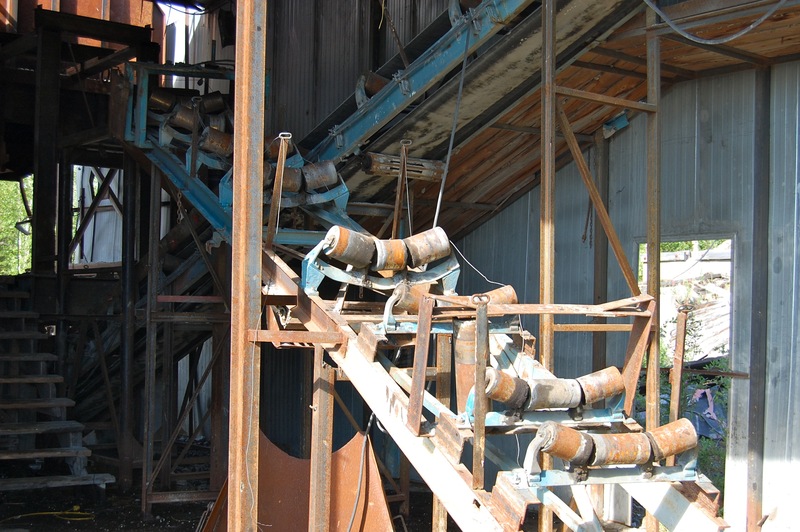 During the ten years it was in operation, the mine produced around 75,000 ounces of gold. 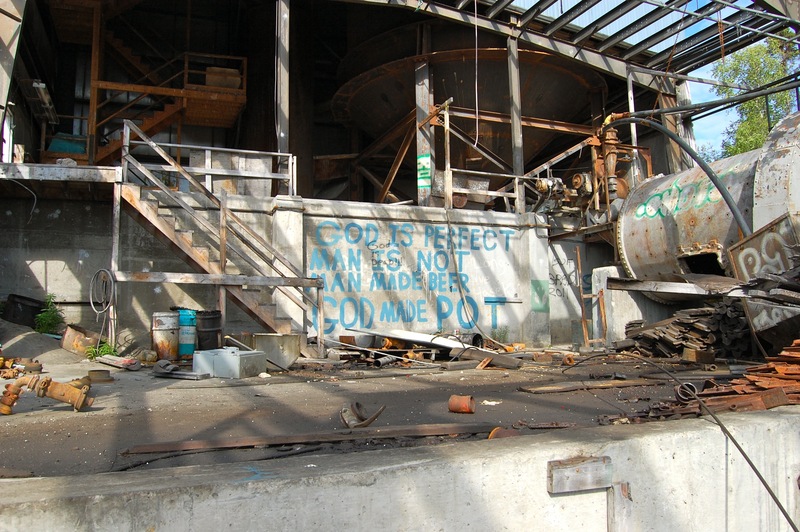 Since 1997, the mine site has been essentially abandoned after the company went bankrupt. 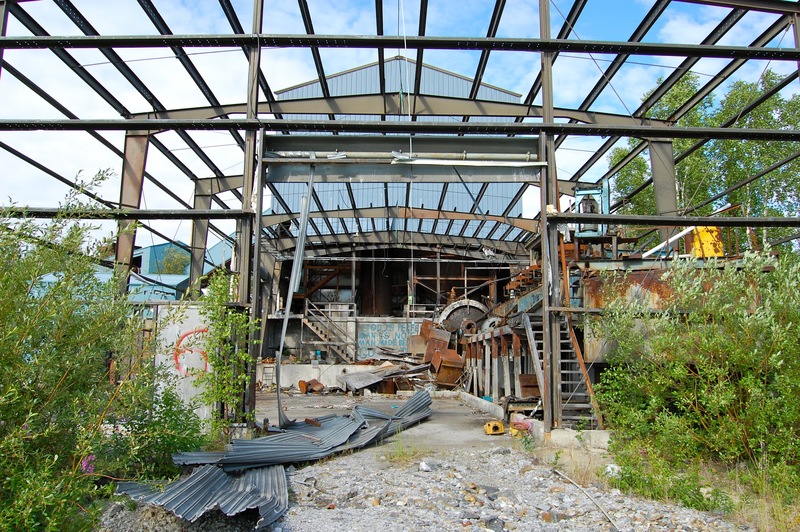 There was talk about a decade ago about cleaning up the site, and an auction was held in 2005 for the remaining buildings and equipment. As you can see, much of the mine was just left to rot. Walking through the site is cool and kind of creepy. The ground is littered with garbage – gloves, old jackets, twisted pieces of metal. An old ambulance lies in the weeds, doors torn from their hinges. A large rack filled with hundreds of core samples stands in the forest. 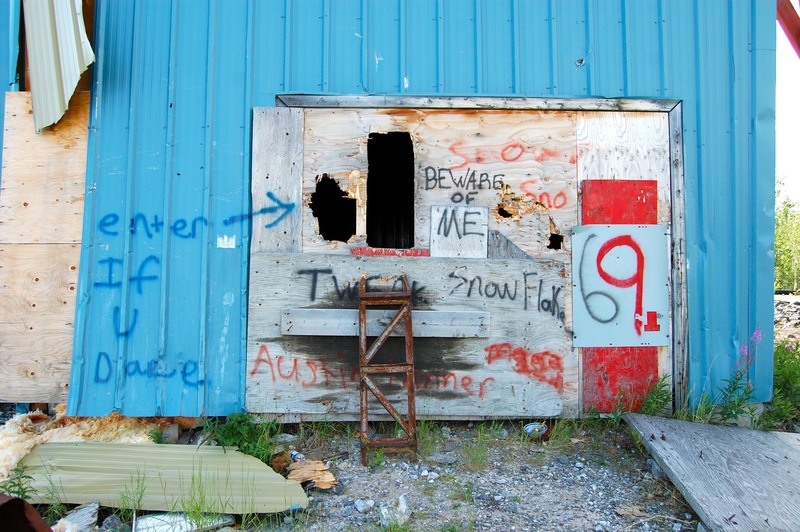 The graffiti that covers the walls is crude and sometimes funny – I imagine lots of kids over the past decade have escaped to the mine to party. I’m sure the cost of reclaiming the site is astronomical. In 1997, the estimated cost was $350,000. Obviously it would be millions of dollars now to clear the buildings, cap the tailing ponds, revegetate the site, and it doesn’t seem to be a priority for anyone in the public or private sector. If you’re curious about the site and want to see a few more photos, there’s a good set of photos on Flickr here. They were taken about five years ago, and as you can see, not much has changed. The mine has one notable remaining resident, and I’ll tell you about my encounter with her in the next post. 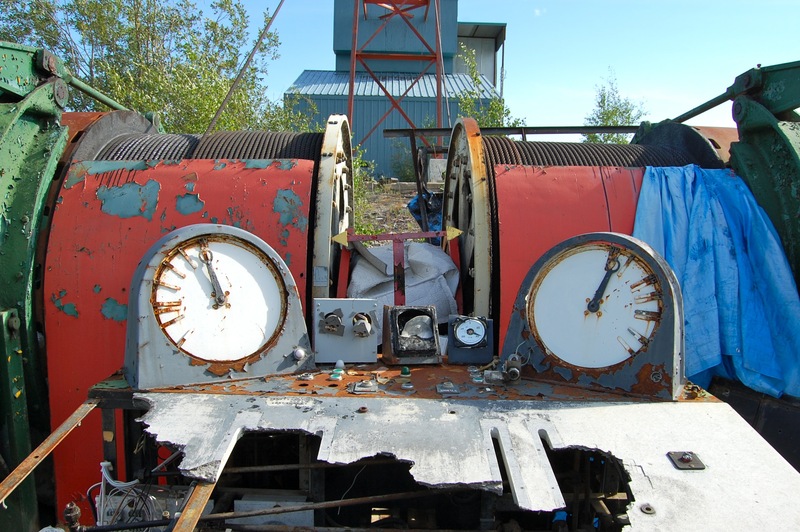 First stop – the controls for the mine elevator. I assume this used to be covered by a building. The entrance to the mine shaft. Despite the invitation, I decided not to risk life and limb by climbing inside. One of several buildings on the site. I think the rollers were to transport ore carts from the shaft down to the processing building. A & K wanted me to explain what this poem means – easier said than done.